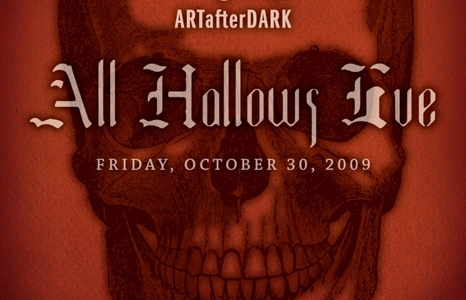 2009 was another great year for the ARTafterDARK program, but all good things must come to and end. October marks the last ARTafterDARK of 2009 and we decided there is no better way to end the year than with a good old-fashioned dance party! So slap on your best costume and come kick-off Halloween Weekend 2009 at the Honolulu Academy of Arts! In Central Court: Straight from Ann Arbor, MI, DJ Benzi. DJ Benzi started gaining attention on the mix tape circuit and in the last couple of years he's had a whirlwind of attention from his patented “refixes” and refreshing work he was done with The Clipse and Lil Wayne on the popular “We Got The Remix” series. DJ Benzi is known for his creative twist on bridging the club/dj culture with that of commercial mainstream hip hop. **Also, check out a live video installation by Joseph Pa'ahana set to the sounds of DJ Benzi from 6-9PM. In Luce Pavilion: hometown favorites DJ Eskae and DJ Compose of Nocturnal Sound Krew, mixing all your hip-hop favorites. Since their formation in 1998, the Nocturnal Sound Krew (NSK) progressed from young bedroom DJs to internationally recognized battle DJs, versatile party rockers and event promoters. NSK have maintained residencies at every significant party for the past five years. *Stop by the HONOLULU Magazine table at the front entrance of the Academy to enter to win a couple days behind a sweet ride! JN Exotics is going to give one lucky ARTafterDARKer a luxury car rental with two days behind the wheel of a Maserati Quattroporte. NOTE: In anticipation of large costumes, most of the galleries will be closed during this ARTafterDARK event. However, Gallery 28 featuring the special exhibition Hokusai's Summit: Thirty-six Views of Mount Fuji will be open for your enjoyment. 2) FREE: Street parking on Beretania Street from 6 p.m.
3) FREE: First United Methodist Church Parking Lot on the corner of Beretania and Victoria streets. NOTE: lot closes promptly at 10 p.m.